We view massage therapy as a big part of your overall wellness and as a great tool to achieve your wellness goals. In order to lead a healthy lifestyle, it is important for your mind and body to work together as one. This is what our massage therapy focuses on. It relaxes your mind as well as your body to help you ease the stiffness and pain that may develop from your daily routine. Our massage therapy helps prevent injuries and eases recovery if injuries do occur. Find out more about our massage therapists and their specialties below. Both of these techniques can be used as part of a therapeutic massage or on their own. Joint Mobilization increases the ease of movement within a joint. Both are gentle techniques that can improve flexibility and range of motion. Craniosacral Therapy (CST) is a relaxing light touch therapy where the body is encouraged to loosen restrictions and increase fluid flow through and around the spinal cord and brain. It helps the nervous system function better so your body can support you during stress. CST can help Headaches/ Migraines, TMJ Dysfunction, Trauma Recovery, Anxiety, Chronic Pain, Autism/ ADHD, Depression, Chronic Fatigue, Fibromyalgia. During this therapy, clients remain clothed. Deep Tissue is a massage aimed at the deeper tissue structures of the muscle and connective tissue. Deep Tissue uses many of the same movements and techniques as Swedish massage, but with more intense pressure. This massage is more focused. The therapist works to release chronic muscle tension or “knots”. Deep Tissue should not hurt, but could be more uncomfortable than a Swedish massage. Clients may also be sore the day after a Deep Tissue massage. The therapist can always reduce pressure at your request. This gentle massage promotes relaxation, soothes nerves, and relieves strained back and leg muscles in expectant mothers. This technique provides extra cushioning and support for the body throughout the session. Reiki is a form of vibration healing developed in ancient Japan. This technique involves the light laying on of hands, and uses life force energy to promote healing and balance in our bodies. Reiki addresses physical, emotional, mental, and spiritual imbalances. This technique is considered more “energy healing” than massage. Swedish massage incorporates these strokes to create a dynamic, relaxing, and rejuvenating massage. A trigger point in the body is an area that “triggers” a painful response. These are usually tender points in the muscle. The therapist locates and works to deactivate the trigger point by using finger pressure. Because of the tension in trigger points, it normally requires more than one session to see results. Trigger point massage can be done separately, or as part of a therapeutic massage session. Medical Massage specifically treats chronic or new injuries or ailments. Each treatment is a customized, therapeutic, deep-tissue experience that utilizes joint mechanics and mild stretching to reduce pain and improve range of motion. It can be adapted for any age, or physical condition. Kinesiotape: A certified therapist applies elastic therapeutic tape that can help with pain relief, reduce swelling/Tinflammation, and accelerate healing for bruises and sore muscles. It can also prevent cramping. One add-on purchase covers one area of the body after a massage. Cupping: A manual form of bodywork using suction and negative pressure by a specialized therapist placing cups directly on skin. This ancient technique releases rigid soft tissue, brings blood flow to stagnant skin and muscles, and much more! Because of the suction, marks and discoloration after treatment are common. One add-on purchase covers one area of the body after a massage. Aromatherapy: Enhance your massage by incorporating beneficial essential oils, which can promote positive changes in the mind and body. Inhaling essential oils is thought to promote positive changes by affecting the limbic system (a region of the brain known to influence the nervous system). To purchase one of these add-ons, call 847-475-7400 ext 242 or come in today! Yaron Iram Specialties: Swedish, Deep Tissue, Clinical work (including trigger point therapy), Myofascial Release, and Geriatric massage. Kate Green Specialty Areas: Myofascial Release, Connective Tissue Therapy, Trigger Point Therapy, Reiki I, Reiki II, Reiki III, Reiki Master Teacher, Wellness for Cancer, Pregnancy Massage, Medical Massage, Deep Tissue, Reflexology, Cranial-Sacral Therapy, Lymphatic Drainage, Swedish, Trager, Aromatherapy and Aromatic Blending. You will be redirected to our registration system, where you can paste the code and sign up. To register for a massage add-on, please call 847-475-7400 ext 242 or come in today! Once you have purchased your massage therapy session, you can book your appointment with your massage therapist online! Just click the link below and choose the trainer, day and time you want, and your therapist will respond to your appointment request. 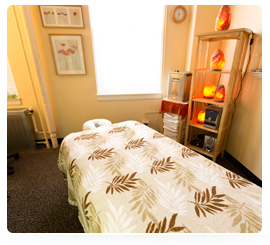 Book your Massage Therapy session here. Appointments cannot be made within 24 hours of the requested day and time, if you would like to make an appointment within 24 hours, please contact our front desk at 847-475-7400. To schedule an appointment by phone, contact the Wellness Desk at 847.475.7400 x242. If you need to cancel an appointment, please notify us 24 hours in advance to avoid full charges. Appointments cancelled with less than 24 hours notice, will be charged the full rate of the session. If you have specific questions about which massage therapist or technique might fit your needs, contact Stacey Artisuk, Wellness Programs Specialist at staceya@mcgawymca.org or call 847-475-7400 x 253. If you have any questions about sessions, please contact the Wellness Desk Staff at 847-475-7400 x242.